We offer 30 hour funded places! For further information please contact us. 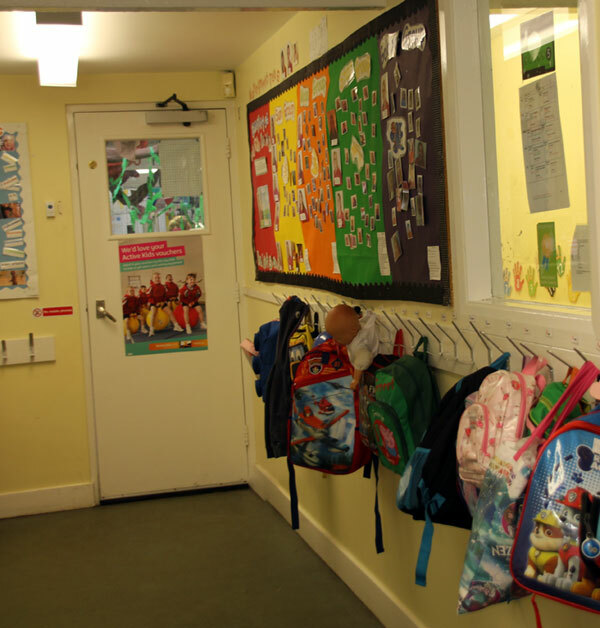 Clarecroft staff are fully committed to providing a ‘home from home’ environment for your children to enjoy. Here at Clarecroft we are fortunate to have an extremely highly qualified team of staff to support your children through their formative years. Multiple Early Years Graduates, a NVQ Level 4 and all staff are Level 3 qualified or working towards this qualification with us. In our Out of School Club we follow the Play work principles following the completion of the level 3 in Play work. All staff are trained in First Aid and Child Safety. We have a qualified experienced Cook who freshly prepares all the children’s meals daily. Having such a highly qualified team of staff demonstrates that we are committed to providing the highest levels of childcare. We are constantly updating our training, policies and procedures to maintain and exceed our existing high standards. We welcome children from 3 months to 11 years old and aim to provide all of them with high quality care in a warm, safe and friendly environment. school and holiday club following the Northamptonshire term dates. We are open throughout all the Northamptonshire school holidays too. All children aged 4-11 years welcome! ADHOC bookings also accepted! This is backed up with lots of practical hands-on activities for children in all age groups including annual events like Sports Day and Christmas Nativity. It’s about teaching children to share experiences and build their confidence. Our Galaxy Out of School Club (4-11 years) is a before and after school club. Sending your child to Clarecroft will provide them with the opportunity to make friends and gain the confidence to make the move up into their first year at school. Come and see for yourself – we’d be delighted to show you around! You can download our Prospectus here. You can download our Fees here. We are open from 7.30am to 6.00pm. Clarecroft Day Nursery is celebrating being judged to be a Good nursery by Ofsted Inspectors after a full inspection of the nursery’s provision. The inspection took place in August 2016. Ofsted (the Office for Standards in Education) judged Clarecroft to be Good in all the key areas. ‘Partnerships with parents are good. Staff regularly update parents on their child’s achievements, progress and time spent at nursery. Parents express high levels of satisfaction with the care are learning opportunities their children receive’. ‘Staff plan a broad range of interesting activities, which support all areas of children’s development…….’. ‘Staff make good use of the local community to broaden children’s range of experiences and develop their understanding of the diversity of the wider world. Children visit the fire station and library and enjoy journeys on a bus and train……’. Want to Book a Show Round?